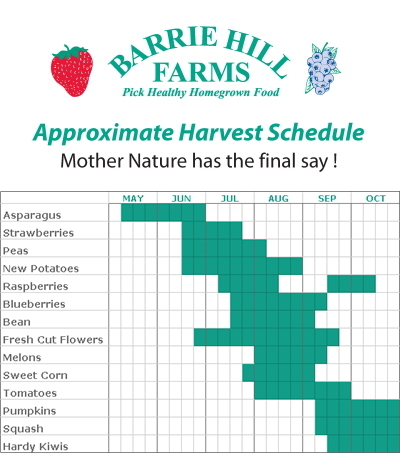 Barrie Hill Farms is southern Ontario’s leading farm destination for excellent berry picking, farm fresh food, and fun family outings. We offer picking fields loaded with strawberries, raspberries, blueberries, pumpkins and more! For over 40 years, our customers have enjoyed great berry picking, the fresh country air and peaceful scenery. Come and enjoy all that our family farm has to offer. Stop in and buy your berries fresh from the field, or take a wagon ride to the field and enjoy picking your own berries…a great family activity! !